Princess Bernice Pauahi Bishop was a woman of intelligence, compassion and foresight who understood that her kuleana as a Hawaiian aliʻi was to serve her people. Pauahi was reared with strong Hawaiian values and a bicultural education. She was an excellent student, gifted in music, and known for her generosity and kindness. At 18, Pauahi married Charles Reed Bishop, a young American businessman who had made his way to the Kingdom of Hawai‘i from Glens Falls, New York. Charles became a pillar in the kingdom government and was a successful businessman, banker and philanthropist. He and Pauahi enjoyed traveling the world with particular fondness for museums and art. With no children of their own, they shared a deep commitment for the well-being and education of kamaliʻi — young ones. As the last royal descendant of the Kamehameha line, Pauahi inherited thousands of acres of land, much of it from the estate of her cousin Princess Ruth Ke‘elik?lani. 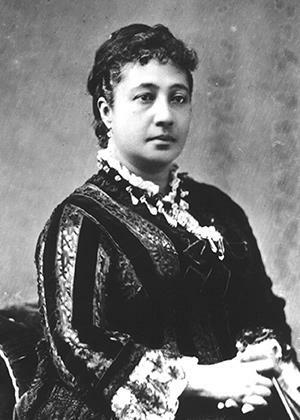 Her inheritance, about nine percent of the island chain’s total acreage, made Pauahi the largest landholder in the kingdom.